Why Dan Swano? Simply because the man is a brilliant music composer who contributed in more projects than you may believe, mixed other bands’ music and is an important figure in the metal music industry today. 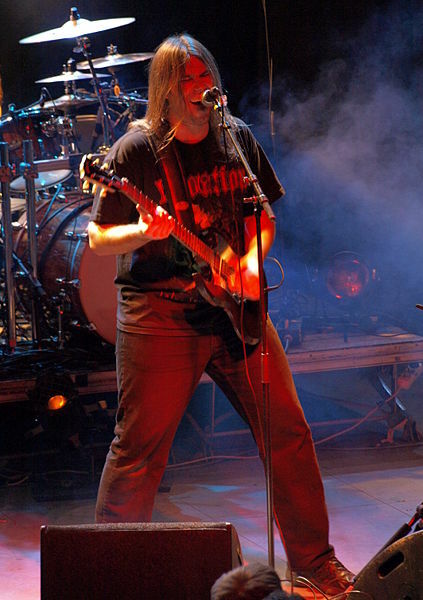 -He is the main man behind Edge of Sanity (Vocals, guitars, keyboards), one of the leading metal bands in Sweden in the 90’s. -He was the drummer for Bloodbath before “Nightmares Made Flesh” where he then switched to guitars/backup vocals. 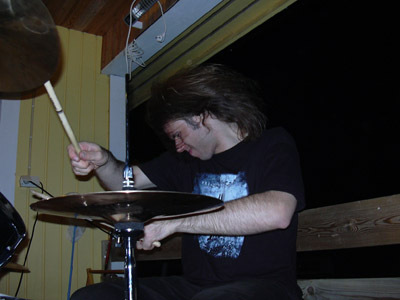 -He was a member of Katatonia where he mainly played keyboards under the alias “Day DiSyraah” and was a sessionist drummer/percussionist. -He was involved in Pan.Thy.Monium and Nightingale, two important projects for Dan alongside his brother Dag Swano, also a multi-instrumentalist and genius composer. -Plays bass guitar, rhythm/lead guitar, drums/percussion, keyboards/effects, and has a range of vocals from death growls to high pitched screams and clean vocals. – Guest vocals with Therion (“Into Remembrance” and “Black Fairy”). -Member of Karaboudjan (actually plays all the instruments), an experimental avant-garde metal band which plays songs revolving around The Adventures of Tintin. -Released a solo album entitled Moontower in 1998. Check the video below. -Played guitars, bass and programmed drums for Infestdead’s “JesuSatan” released in 1999. 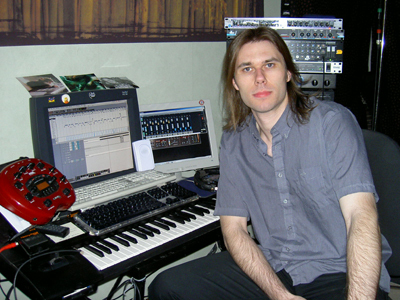 – He was the producer/engineer, mixed / backing vocals, percussion, synth, clean melody lead, piano, synth in Godsend’s “In the Electric Mist” (1995). -Played drums, keyboards and vocals on Odyssey’s self titled 1999 album. -Produced, mixed and engineered Ancient’s “The Cainian Chronicle”, engineered Dissection’s “The Somberlain”, was the producer/guest (recorded, engineer, mixed, produced / solo guitar) on Under Black Clouds’ “As Darkness Falls”. -He was also the producer for Coldworker, Evoke, Hail of Bullets, Marduk, Mork Gryning, Novembre, Omnium Gatherum, The Project Hate MCMXCIX, Torture Division, Vinterland and Wounded Knee. As you see, Dan Swano was involved in many many projects in his ongoing courier, and while this isn’t the complete list, it is a great way to get introduced to the works of this living metal legend. From death metal to progressive to goth rock and experimental avant-garde, the man knows it all, played it all and helped others as well. A: I run a mixing and mastering studio and work three days a week in a music store. I could make a living out of the music/mixing but then I would have to work so much all the time that the passion would be lost. Q: “How many instruments can you play and which one do you enjoy playing the most?”A: I am a decent guitar player, keyboard player, singer and drummer. I am OK at bass. I do not consider myself to be very good at anything. It may sound like that once I am done with all the edits, but to me a good musician just nails a fine track without cheating for weeks!! !